The Greenwich Foundation needed a campaign for the launch of the Discover Greenwich Centre – a new interpretation and learning centre which introduces the history and architecture of the site. We were appointed, and our route of prominent names of people throughout history – architects, craftsmen, royalty etc – associated with the Old Royal Naval College was chosen. 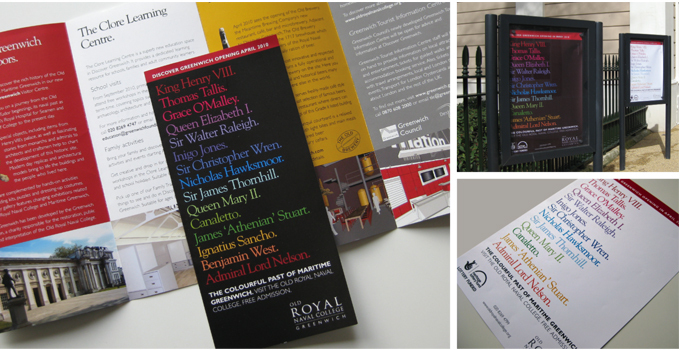 The creative was signed off by the line: ‘The colourful past of Maritime Greenwich’. 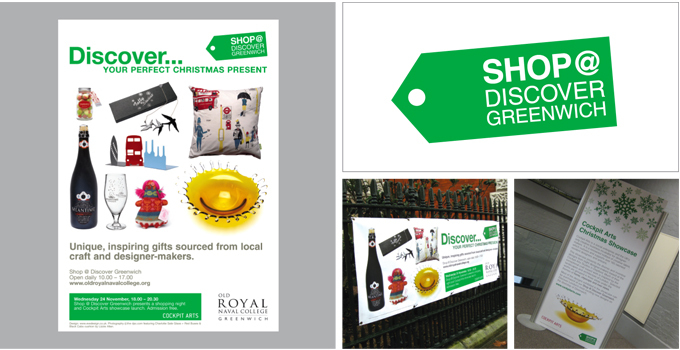 A campaign for Christmas 2010 was also developed for the retail arm of DG and included an identity for ‘Shop@DiscoverGreenwich’ and posters, advertising, flyers, ticketing, pos, exhibition panels and external banners.